The Shamrocks program was founded on the premise of supporting local hockey programs, supporting and encouraging multi-sport athletes, and at the same time working to provide the highest calibre ice hockey environment and program for the female ice hockey players in Vermont who want more and have a true passion for the greatest game on earth. 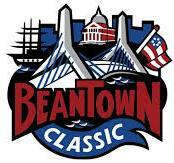 The Shamrocks have been sending teams to the Beantown Classic for the past several years allowing Vermont players to compete on a larger stage and to increase their visibility to college coaches and scouts. This has proven to be a valuable opportunity for many players over the years. Final team schedules and events will be decided by each team and announced following team selection. For additonal information on the summer team outline, please click on the tab on the left.